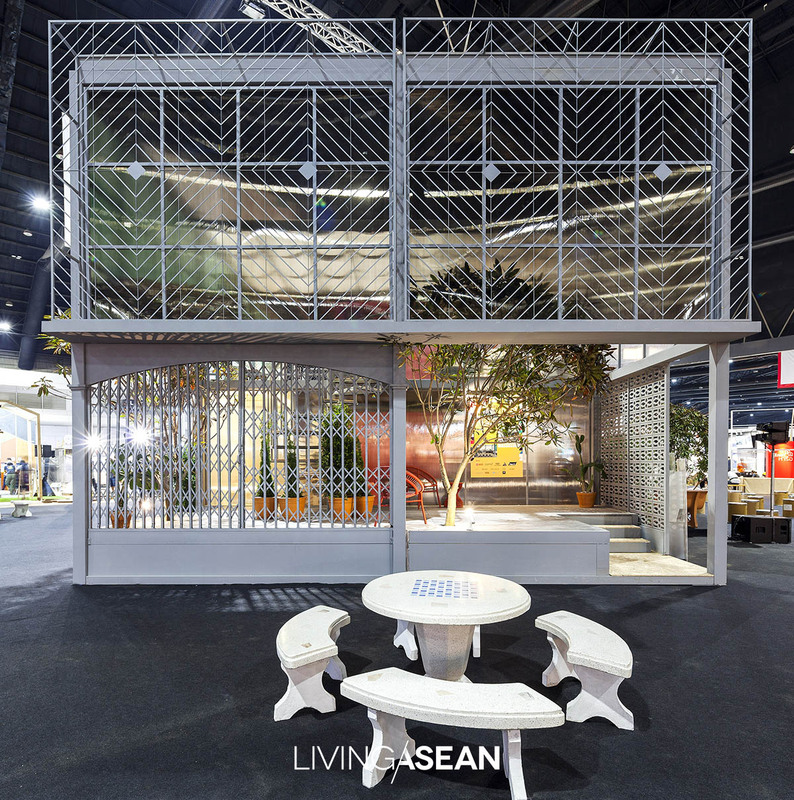 Speaking of the lifestyle trade show, there’s no denying that the Baan Lae Suan Fair has become a household name. The popular event is held three times yearly. The first show takes place in late May, followed by the midyear edition in early August, and the yearend event in late October. Each time, the show features a different theme or concept that encapsulates the mood and what’s trending at a particular time. All the most important aspects of the idea are expressed through the model home and show garden that make the event’s main attractions. 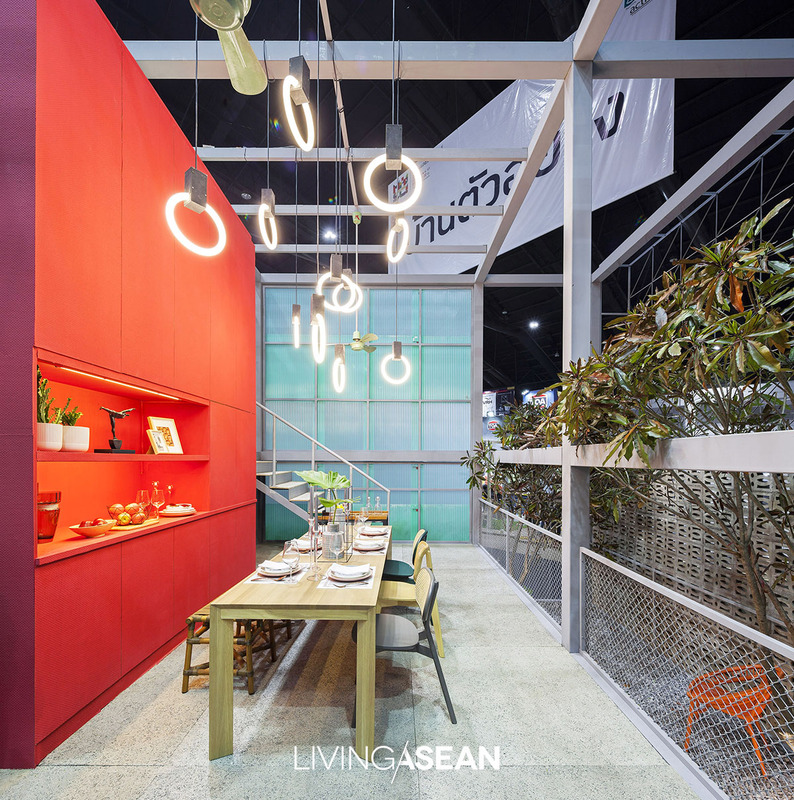 The current edition of Baan Lae Suan Fair 2018, which runs from October 26 to November 4, is the biggest trade exhibition in terms of design, lifestyle, and outdoor living. 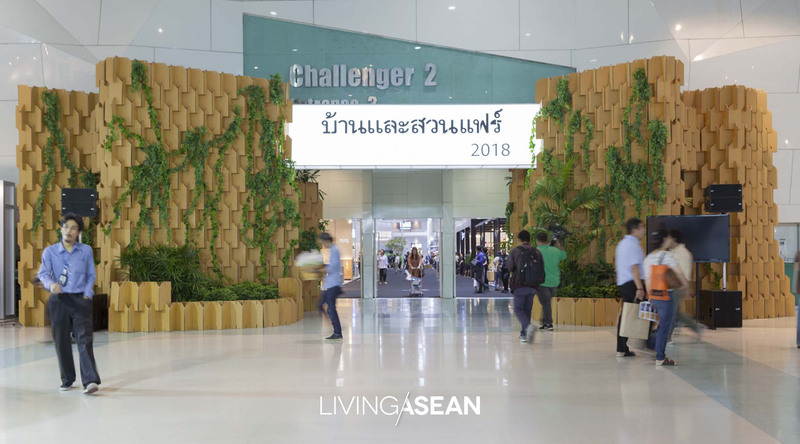 Besides giving companies the opportunity to showcase their products and services, the show is a shopper’s paradise for home goods, décor, and accessories. 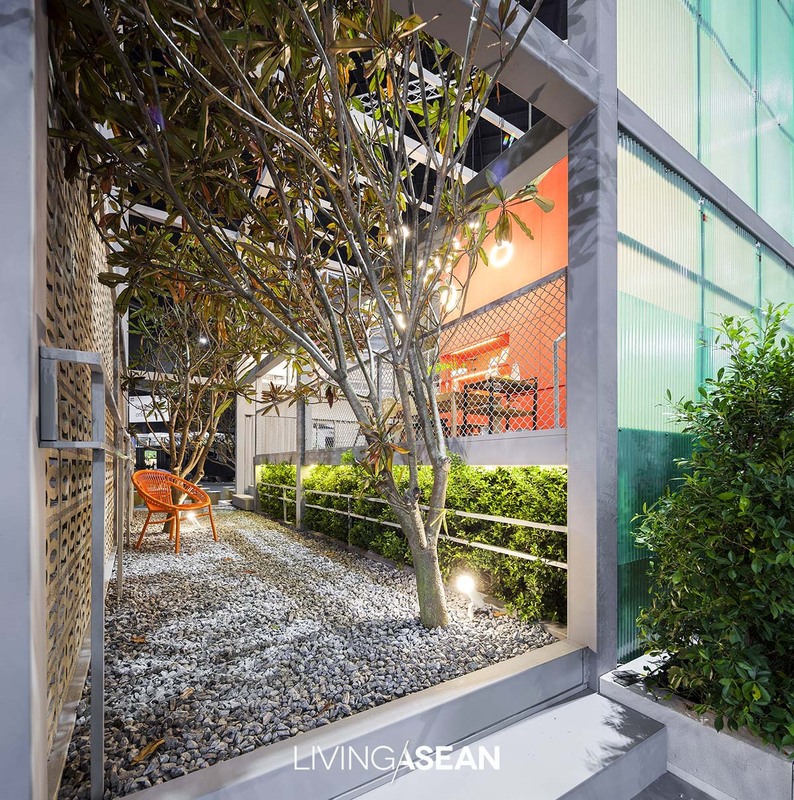 Like flipping through the pages of “Baan Lae Suan” Magazine, it’s easy to be spoilt for choice. 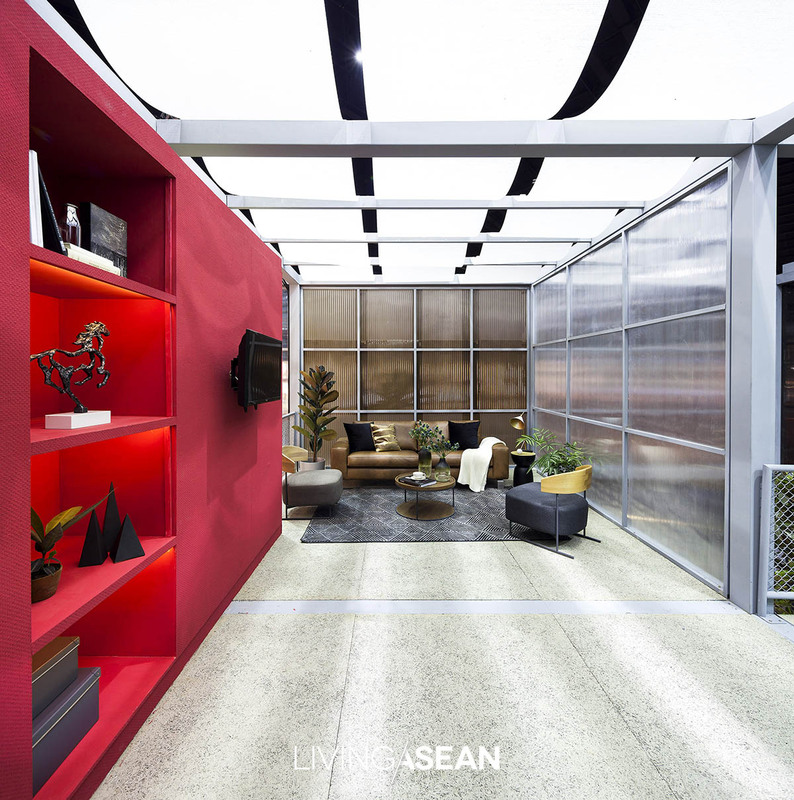 The way into the exhibition hall is crafted of brown corrugated sheets cut to size and assembled in one place to create a welcoming entrance. The pieces are unevenly spread and neatly decorated with lighting. Where appropriate, green indoor plants are added to make the entryway area elegant and enjoyable. Traditional economies are systems in which large quantities of standardized products are made to satisfy market demand. In the process, the costs of production are reduced. Over time, the ability to mass-produce has given rise to the popular phrase, “cheaper by the dozen.” This is especially true in the homebuilding industry. Nowadays as construction materials are affordable and available in abundance, people have become even more creative in unleashing their imaginative energy. 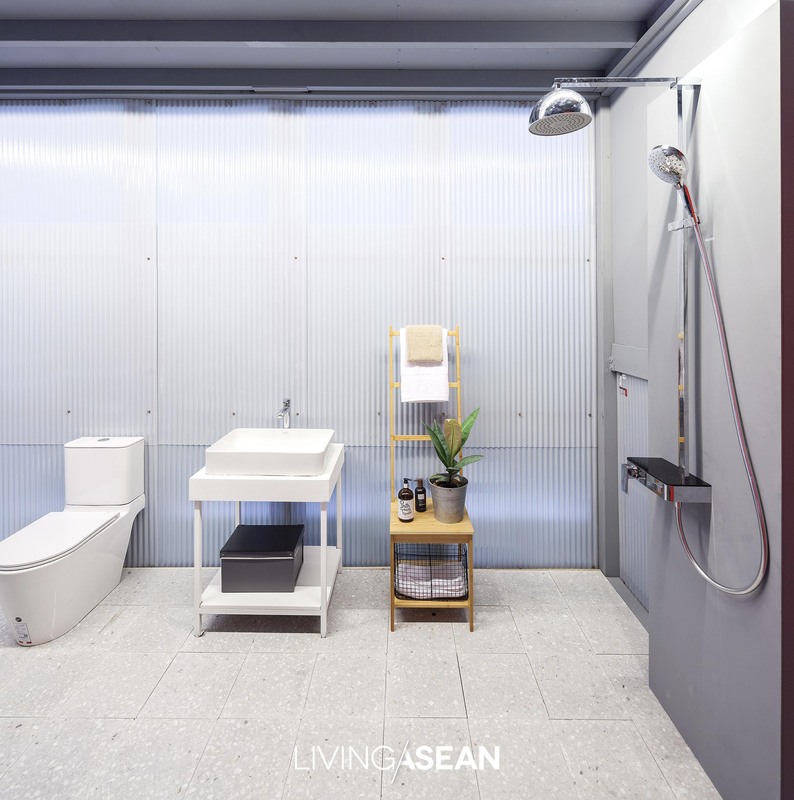 Such an interesting phenomenon is compellingly told during the 2018 Baan Lae Suan Fair, where a model home built around the concept of Massclusivity is on show from now until Sunday November 4. 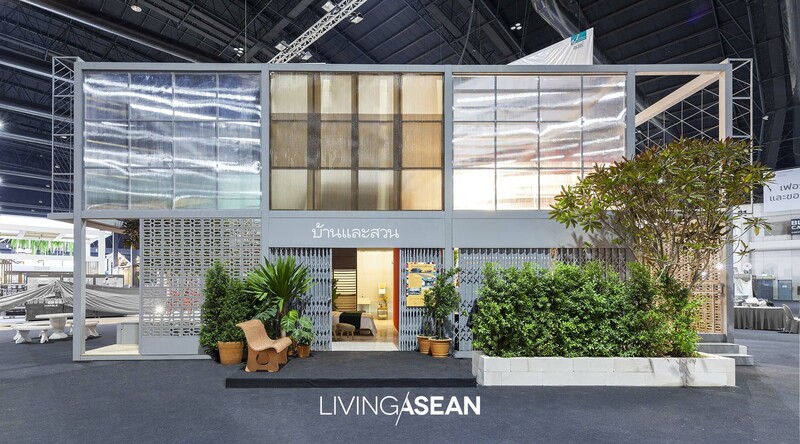 The home with distinct character is designed by Narong Othavorn of the SO Company. 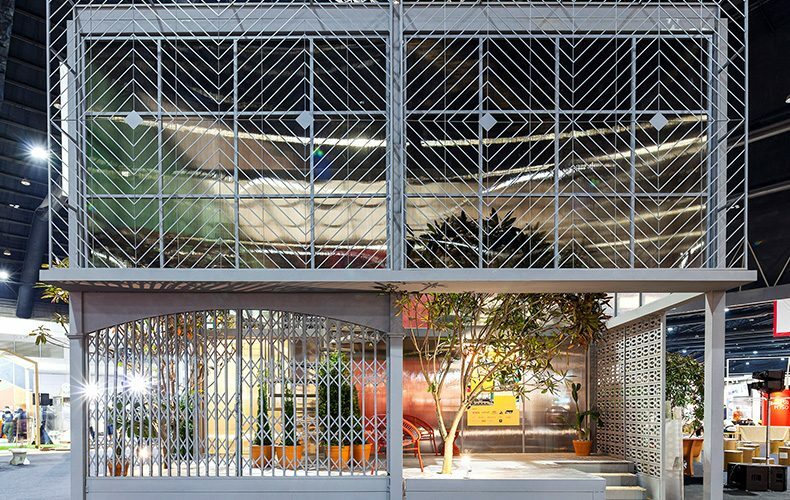 The architect reinterprets the shop-houses in a different way. 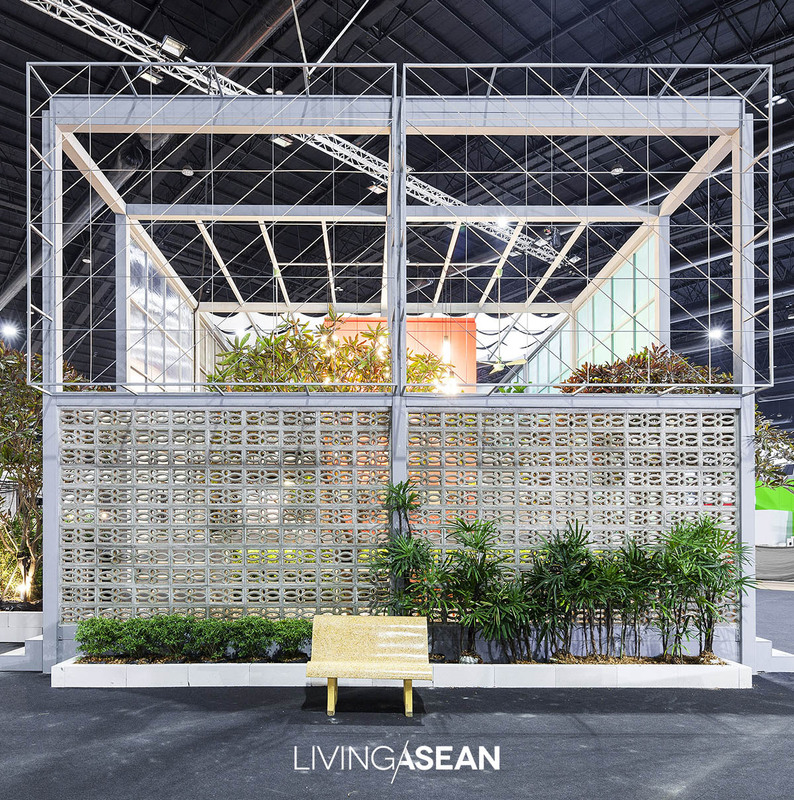 Inspired by the building type that’s ubiquitous across the country from past to present, Narong creates a unique home using recycled and mass-produced building materials. 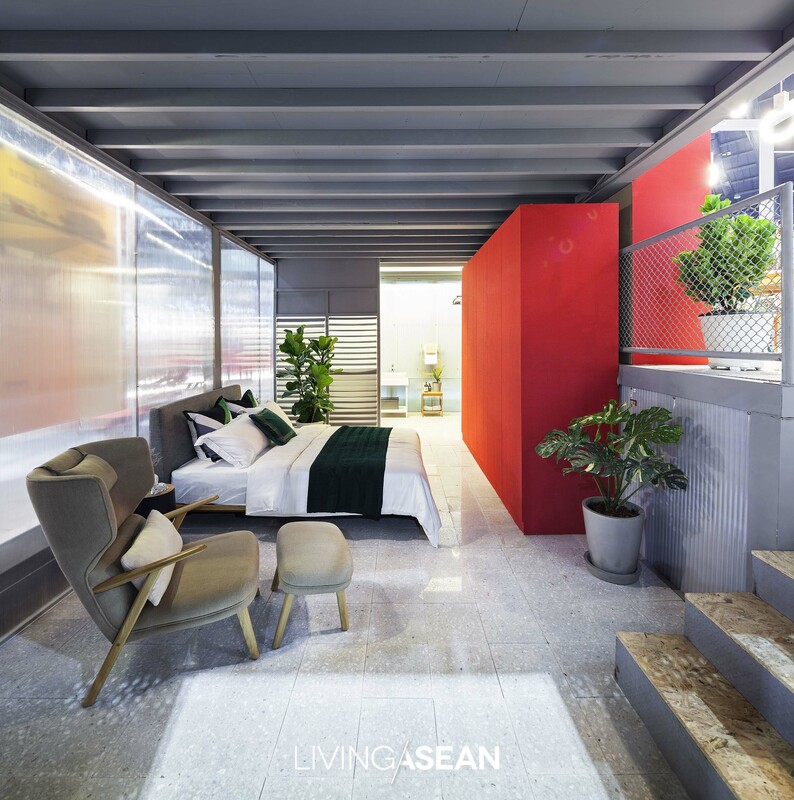 The result is a cube-shaped home in which all the rooms are built 3.60 by 3.60 meters. The two-story home is an ensemble of 12 steel-framed units, each of which is designed to serve different purposes ranging from parlor and dining rooms to bedrooms and baths. In a nutshell, it’s about adapting all too familiar materials for new uses, and old design for new purposes. 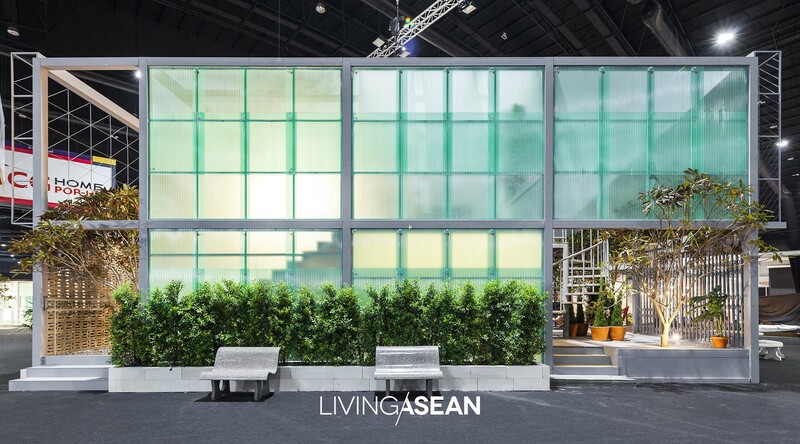 This is manifested in the use of breeze blocks, louver windows, and clear corrugated roofing sheets in making the face of the building and walls. Where appropriate, terrazzo tiles are installed in a new way that’s immediately appealing.